Jan's Twister is a massive spider from Joiner Gardens (Savannah Georgia). Although registered as Evergreen, JT is totally hardy in northern gardens and received the Lenington All America Award in 2003 for outstanding performance in diverse climatic zones. Peach spider with an apple green throat, JT won the Lambert Webster Award for best unusual form in 2000 and was a runner up for the Stout Silver Medal in 2001. 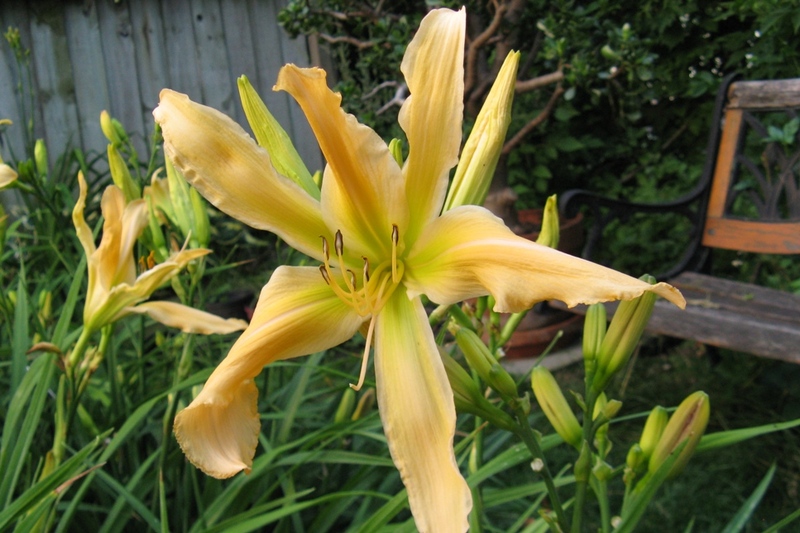 All this recognition only confirms what we have know as long as we have grown Jan's Twister - This is one spectacular daylily !